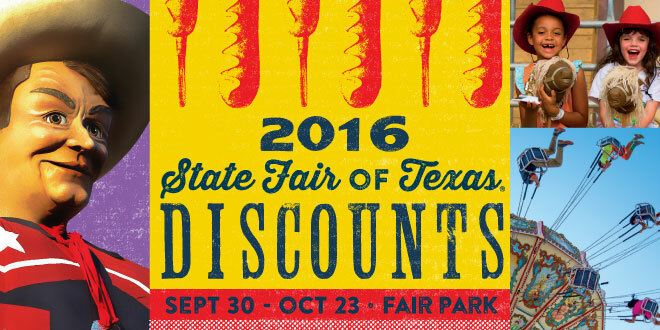 2016 STATE FAIR OF TEXAS DISCOUNT LIST! Save at the State Fair of Texas this year with this list of discounts for 2016. Don’t forget to try all the amazing foods! !